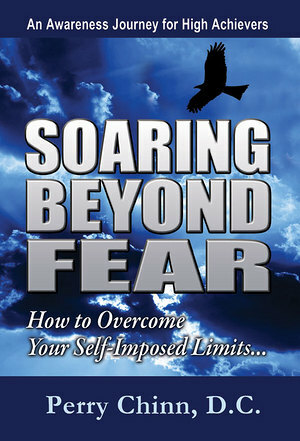 Soaring Beyond Fear is a fascinating journey into the day-to-day manipulations of the fear-mind. Dr. Chinn has explored the inner workings of what many have called the ego, an aspect of self that is valuable in crisis, but when allowed to have control, can wreak havoc in our lives. Perry’s awakening to how his fear mind prevented him from living a life of joy and real meaning allowed him to break down barriers and find his own sense of freedom. Now he has a burning desire to share his experience with others struggling to regain control of their lives and destinies. Using personal stories and clear-cut advice, Perry has created in Soaring Beyond Fear an opening for you to create the life you always intended. The spark to transformation lies within you! Let Perry help you turn it into a fire of fulfillment! Perry Chinn is an author, speaker, and twenty-three year veteran of business and practice management. A graduate of Life Univ. in Marietta, GA, he is in private practice in Seattle, WA and spends his spare time speaking, coaching, teaching chiropractic and helicopter instruction. Dr. Chinn is available for keynote speaking and empowerment training.